I got a beautiful oven dish as a present. The label said “macaroni” on it, but I didn’t think anything of it, and made a lasagna the first time I used it. But it turns out it really was a macaroni-and-nothing-else dish. 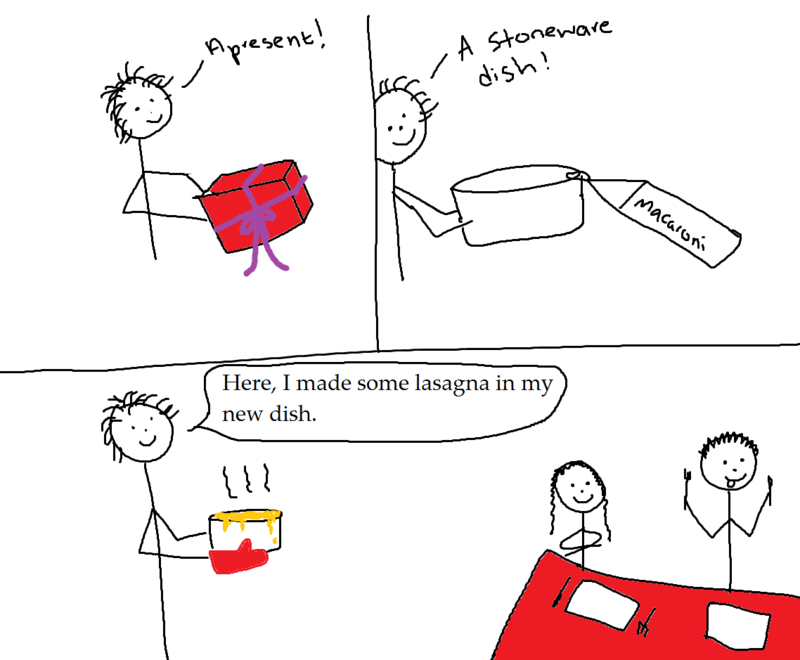 Posted in Food and tagged dish, dream, lasagna, macaroni, oven, present, stew, stoneware. Bookmark the permalink.